There were no dramatic changes in the ECB's message to the markets, but there were some signs of a change in thinking on the part of the Governing Council that may soon cause a shift in market thinking as to when and how the ECB might begin the process of exiting from its current ‘very substantial degree of monetary accommodation'. Two elements of the communications hint at initial movements in what could still be a drawn‐out process of preparing the way for a gradual unwinding of the ECB'S current very supportive policy stance. The first of these is a notably more upbeat tone in Mr Draghi's assessment of economic prospects for the Euro area‐even if that tone has not translated into any corresponding upward revision to GDP growth forecasts in the ECB's new projections. Equally important, in spite of Mr Draghi's continuing references to ‘no signs yet of a convincing upward trend in underlying inflation', the new ECB projections show a slightly firmer trend in ‘core' inflation in 2018 and 2019 than previously envisaged. This brings inflation excluding food and energy to 1.8% in 2019, an outturn that is probably in line with the ECB's definition of price stability. Prior to the ECB meeting there had been chatter in the markets as to whether Mr Draghi would strike a notably more hawkish tone in his comments. We wouldn't characterise Mr Draghi's comments as hawkish but neither were they particularly dovish. A more pertinent description is that Mr Draghi was clearly more optimistic than he has been for most of his tenure as ECB president. He cited a long list of indicators showing improvements in economic and financial conditions in the Euro area that, he said, signalled ‘the achievement of success' on the part of the ECB. We see an eventual shift from dovish to hawkish comments on the part of Mr Draghi requiring this initial and important step from pessimism to optimism. The key to the ECB successfully and smoothly exiting its current policy stance is to build a strong consensus that its policy's objectives have been achieved and that the array of measures it has utilised can be safely stepped back without incurring any major risks to economic or financial conditions within the Euro area. The shifting focus in Mr Draghi's pronouncements to highlight the ECB's contribution to improving economic activity in Europe at present serves several purposes. First of all, it strikes an appropriately upbeat note for official communications during a period entailing a potentially challenging election calendar in a range of European countries. Mr Draghi also underscored the ECB's capacity and willingness to act further in the event of exceptional if unlikely turbulence with a strong if simple ‘we are ready' comment. He also took the opportunity to emphasise the importance of the single currency and the single market to the EU. The emphasis on the Euro area's current healthier growth path also allowed Mr Draghi to distance the ECB a good deal further from any prospect of further easing while not entirely abandoning all recourse to such a possibility. Mr Draghi said there had been a ‘cursory' discussion about removing any reference to that option. He suggested the removal of the phrase ‘If warranted to achieve its objective, the Governing Council will act by using all the instruments available within its mandate' that has figured in the ECB's regular press statements for the past year represented a step away from additional easing. The omission of this ‘activist' wording and the slight shift to acknowledge ‘The risks surrounding the euro area growth outlook have become less pronounced' represent very modest steps given that the ECB continues to judge that those risks ‘remain tilted to the downside' . It could well be that through the next few months in which potentially unsettling election campaigns in Europe, the UK's formal invocation of the article 50 process and a likely rise in US policy rates could all vie for market attention, the ECB is particularly sensitive to a desire not to contribute to market volatility. The particular desire to highlight differences in the current stance of monetary policy on either side of the Atlantic would significantly add to the case for signalling no looming shift in ECB policy. It may also be that some on the Governing Council still harbour reservations about the strength and sustainability of the Euro area recovery. Perhaps surprisingly, the picture painted by the new ECB projections for activity is not markedly better than those made three months ago. While GDP growth is marginally stronger than previously envisaged in both 2017 and 2018 at respectable figures of 1.8% and 1.7% respectively, 2019 is still seen at a more modest 1.6% implying a slowing trajectory for economic growth in coming years. Moreover, the projections for cumulative gains in household spending, government consumption and investment over the three year period 2017‐2019 are all slightly lower than had been envisaged last December. Admittedly, employment and unemployment are both modestly more favourable but the mainstay of stronger activity is an improvement in net exports, a development that may owe something to the technical assumption of a slightly weaker Euro exchange rate as well as somewhat healthier external demand for Euro output. These activity forecasts paint a picture of the Euro area recovery proceeding on a solid but far from spectacular path ‐ a path that might argue for a relatively cautious approach to unwinding monetary support particularly as Mr Draghi noted that ECB studies suggested its supportive policy measures had provided a cumulative boost to Euro area GDP of 1.7% percentage points in recent years. If the projections for economic growth argue for the persistence of very supportive ECB policy for some significant time, the new projections for inflation point in a more threatening direction. It should be emphasised that this is a relatively subtle shift that might be seen as consistent with a process of gradually shifting expectations to the point where the first adjustment to ECB policy appears entirely appropriate. We don't attach much significance to a clear rise in the headline inflation forecast for 2017 to 1.7% which largely reflects the spike in energy prices of late. While the headline rate for next year is marginally higher than expected at 1.6%in December, there is no adjustment to the 2019 figure of 1.7% which Mr Draghi previously intimated was still below the ECB's target of ‘below but close to 2%'. However, there were more significant if modest changes to the outlook for ‘core' inflation. The new projections for inflation excluding food and energy remain unchanged at 1.1% for 2017 but show marginal upticks in 2018 to 1.5% (from 1.4%) and in 2019 to 1.8% (from 1.7%). It is likely that an outturn of 1.8% would accord with the ECB‘s inflation target being met. While that target formally relates to ‘headline' inflation, Mr Draghi has attached notably more attention of late to measures of underlying inflation because of increased volatility in energy and (to a notably lesser extent) in food prices. 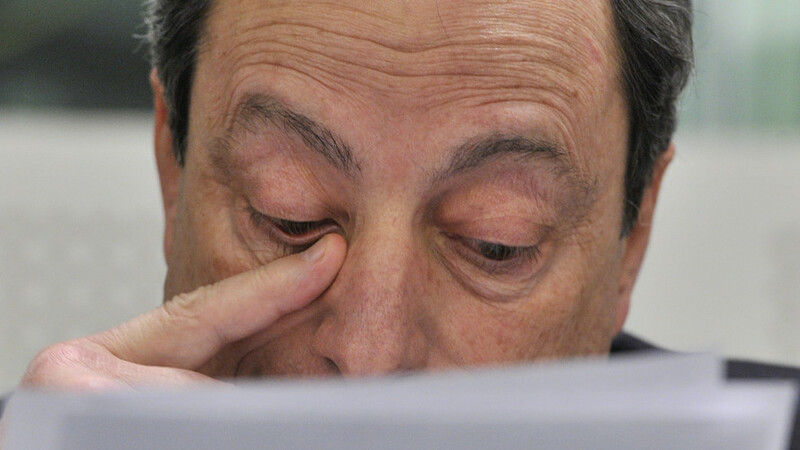 What about Draghi's four inflation tests? To assess the significance of these new projections, it is worth examining this core inflation forecast against the four considerations described by Mr Draghi at his press conference in January. First of all, higher inflation envisaged for 2019 might be said to be consistent with the stated objective of achieving the target over a policy relevant ‘medium term horizon'. Although one forecast point would not represent sufficient evidence of a developing trend, a similar judgement in June and certainly in September, particularly if these were to feed through to an upward revision to the headline rate, would suggest a measure of confidence in such a prospect. With growth in coming years expected to be moderate but close to the Euro area's potential rate, slack in the economy reducing and the ECB now anticipating some firming in labour costs over the forecast period, it could also be argued that the envisaged increase in ‘core' inflation might be at least approaching a point where it could be considered ‘durable', the second consideration mentioned by Mr Draghi. A third dimension which Mr Draghi described as relevant to the ECB'S policy deliberations was that the rise in inflation ‘has to be defined for the whole of the Eurozone'. Clearly, this aspect was intended to deal with the vexed issue of relatively high German inflation of late. This represents a particularly unpopular but possibly necessary dispersion of inflation within the Eurozone. In the past, comparatively low German inflation and accordingly high inflation in peripheral economies translated into a ‘real' return on savings in Germany and a measure of ‘real' relief on borrowings in several other Euro area countries. In contrast, comparatively high inflation in Germany and adjustment–related pressures on costs in many peripheral economies at present makes the ‘one size fits all' policy of the ECB even more economically and politically problematic. In a narrow sense, however, the projections skirt around such issues in a manner that meets with Mr Draghi's formulation as, by definition, the inflation projections relate to the Euro area as a whole. In relation to three of the four considerations referred to by Mr Draghi in January, we think a case can be advanced that the new inflation projection represents a possibly deliberately tentative first step in preparing the ground for an eventual start to the ECB's exit process. The case in relation to the fourth aspect may seem more problematic. This requires that the pick‐up in inflation ‘has to be self‐sustained. In other words, it has to stay there even when the extraordinary monetary policy support that we are providing will not be there'. With Mr Draghi again highlighting the impact of the ECB's policy measures on activity and inflation in recent years, it could be argued that the prospect of a significant overshooting of the ECB's inflation target would be required to give comfort that some step‐back from the current stance could be considered. We would be careful not to see uncertainty about the possible dampening impact on the Euro area economy of a gradual withdrawal of the ECB's ‘extraordinary support' as entirely ruling out any possibility of such action. With debate notably increasing of late in relation to the potential implications of exceptional policy measures for financial stability, there is an onus on the ECB to consistently re‐make the case for the continuation of the current stance. Different ECB discussions in private and public?